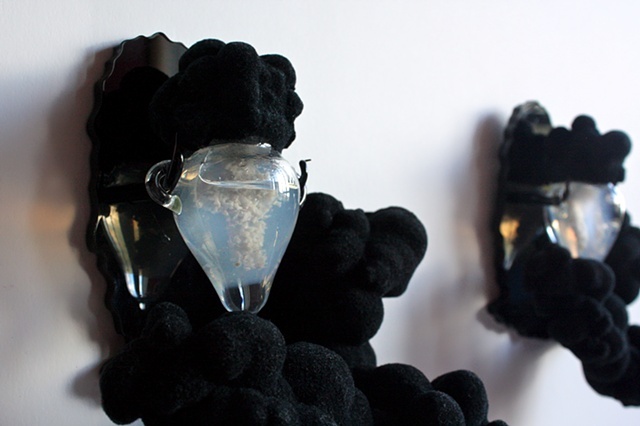 Slip me some skin explores biotech processes, ethics, and ritual, through the augmentation of human tissue in sculptural form. 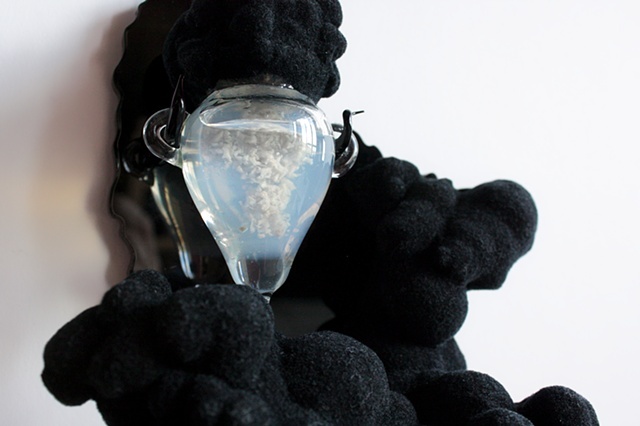 Using cell culture techniques, the work transforms excess surgical tissue from an anonymous cosmetic surgery donor into contemporary tecno-scientific reliquaries. 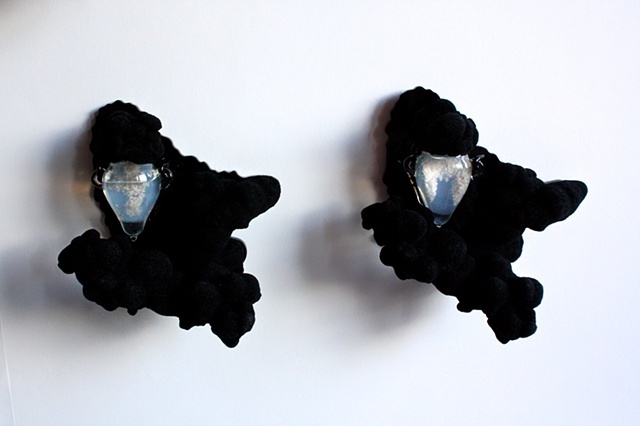 The work navigates ideas of subjectivity and embodiment, as relating to the contemporary body, and it’s components as commodity materials. 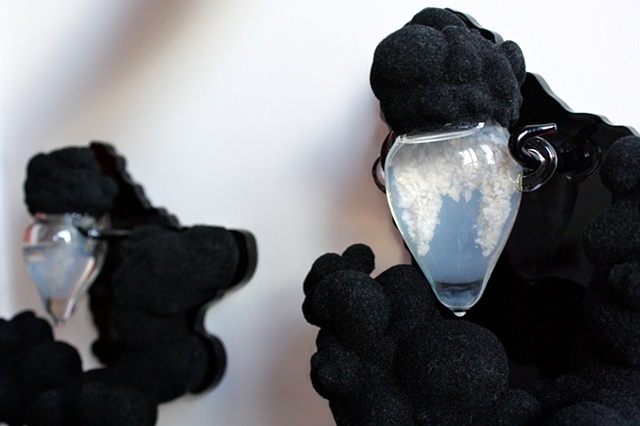 Within the reliquaries two tissue forms are encased - popular icons of vampire fangs and crucifix - playful forms with which to engage ideas of ‘consumption’ of human tissue through biotech and biomedical practices, as well as traditions of bodily ritual and sacrifice. A layer of fibroblasts seals the outer tissue with inner cell membranes - inscribing a scientific body onto the literal, physical (social) body. The tissue specimen in this work was a piece of breast tissue removed from a female donor on August the 3rd at 6:00pm. The specimen was collected from the hospital - handed to me as I lingered outside the operating theatre - and taken directly to SymbioticA labs to process. Surprisingly, harvesting and culturing this tissue was an acutely subjective experience. The sheer quantity of tissue, still warm from the donor’s body, its strangeness and mystery of origin contributed to an intense encounter - alienating me enough from it to firmly cement me within my own body, an experience I had not felt for some time. 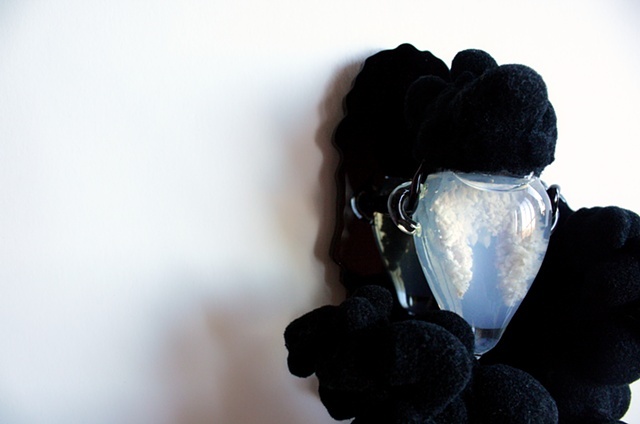 The line between the body as subjective, and as raw material, is slippery and irrational. While processing the tissue in the laboratory I felt it’s connectedness to the anonymous donor, whose motives to be involved in the project I would never know. I began to obsess about her identity, and imagined I felt, on a very basic level, something akin to the psychological distress that I imagined organ recipients may feel. The incorporation of this tissue into my own body would have a challenging impact on my sense of self. If the tissue had been a finger, something recognisable as human and individual, it would be seen as definitively part of her body, carrying with it an inherent sense of ownership and value. Without these features it became anti-sacred flesh, waste, biomedical capital. Not a phenomena, but a thing.